The Walk: The English Spring has definitely arrived by early May. There may be a short relapse to wintry conditions on occasions but there is no stopping the progress of spring now and by May the trees and hedgerows are all turning into their resplendent green, even in the higher areas of the north. Oh the delight of spring. Now the animals and birds are now at their busiest as they bring up their young. They are also at their nosiest, especially the birds! 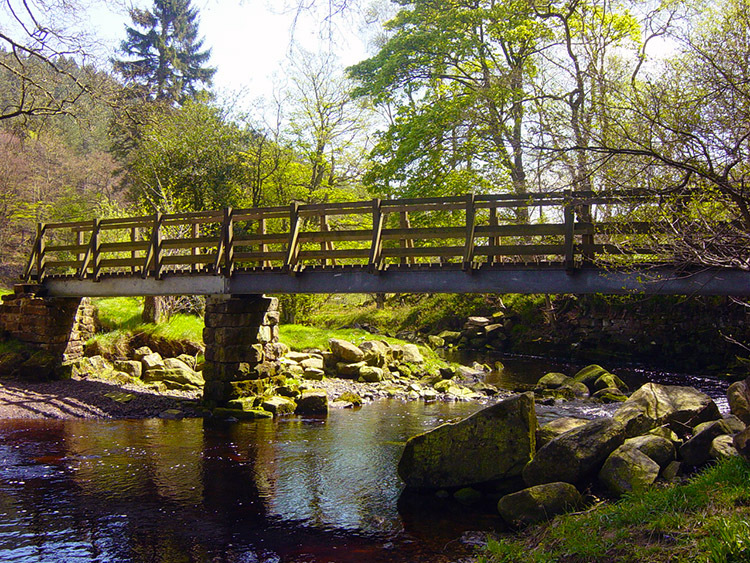 I was blessed and cursed in equal measure by their frenetic activity as I, in the company of my walking pal Joe, took a walk in the Upper Washburn Valley near Blubberhouses. This is the story of our eventful walk. 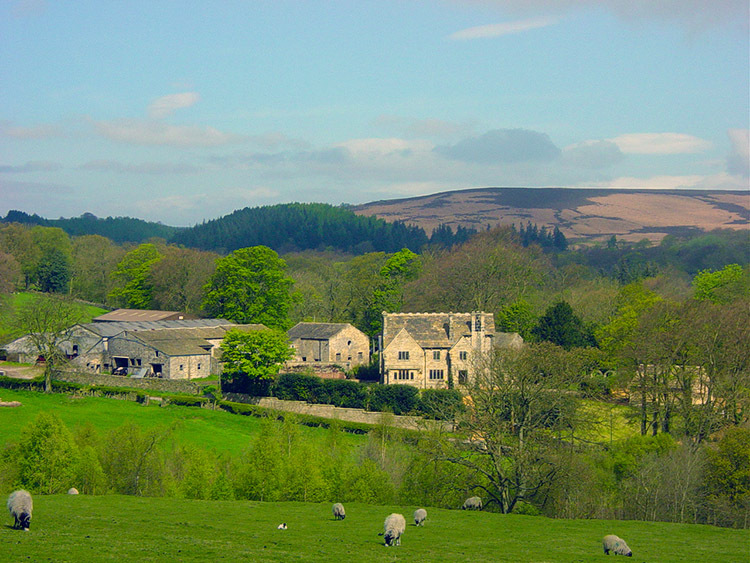 We had made our plan to walk on an exploration of Blubberhouses Moor before crossing the A59 Harrogate to Skipton road and crossing Kex Gill Moor into the valley of the Washburn to finish the walk with a pleasant waterside stroll. 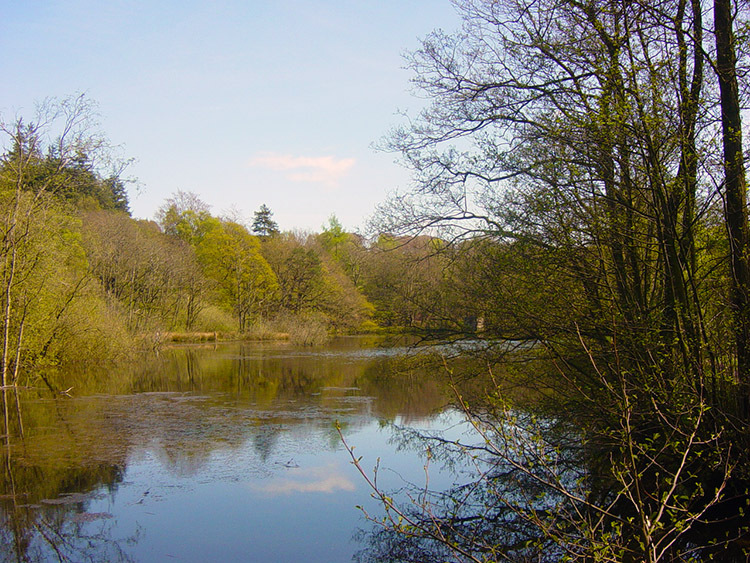 After a cloudy start to the day the sky was clearing and it promised to be a good walk as we arrived at our starting point, the Fewston Reservoir car park just below Blubberhouses Church. We set off on our walk in glorious spring sunshine and although there was a cool westerly breeze the sun was already getting high into the sky casting its warmth. 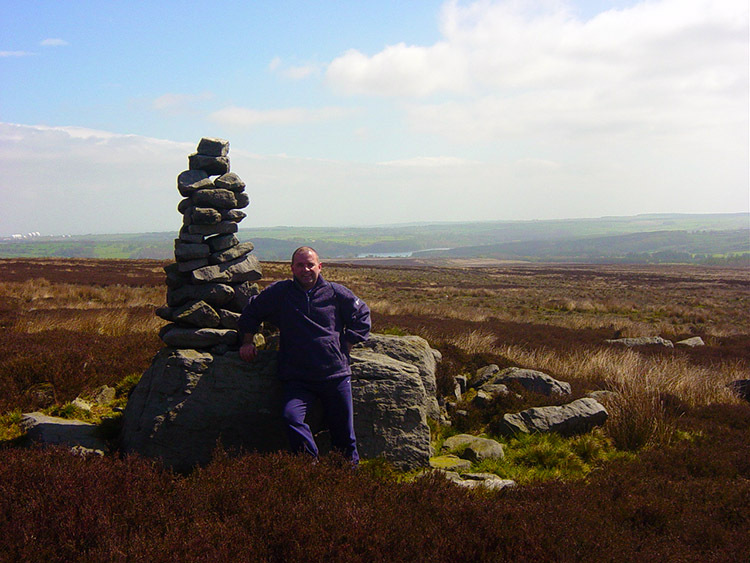 The first three miles of the walk involved a steady climb onto and over Blubberhouses Moor so I knew the breeze would never be a factor. And it never was. 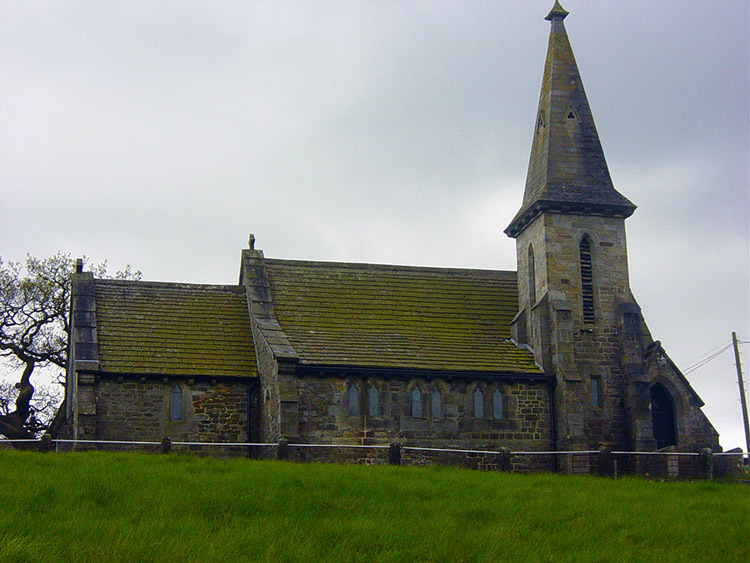 The course of the walk took us from Blubberhouses Church straight onto the moor via Manor House Mews, a small terrace of houses which were formerly a working farm and outbuildings. We walked straight past the properties and through a gate onto the open moor. There is a path, not obvious, which goes almost due west from this point but we were bound for the old roman road which crosses the moor. To reach it is easy from the gate. Follow a course due south west onto a ridge and the old roman thoroughfare is on top of the ridge. Its course is obvious, a dead straight green strip cuts through the gorse and heather over the moor. To confirm you are on the path is easy. 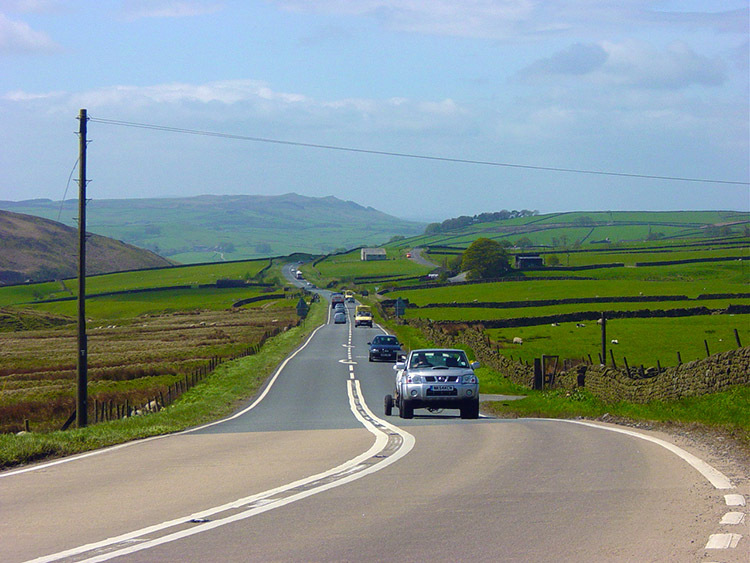 Look back east to the A59. 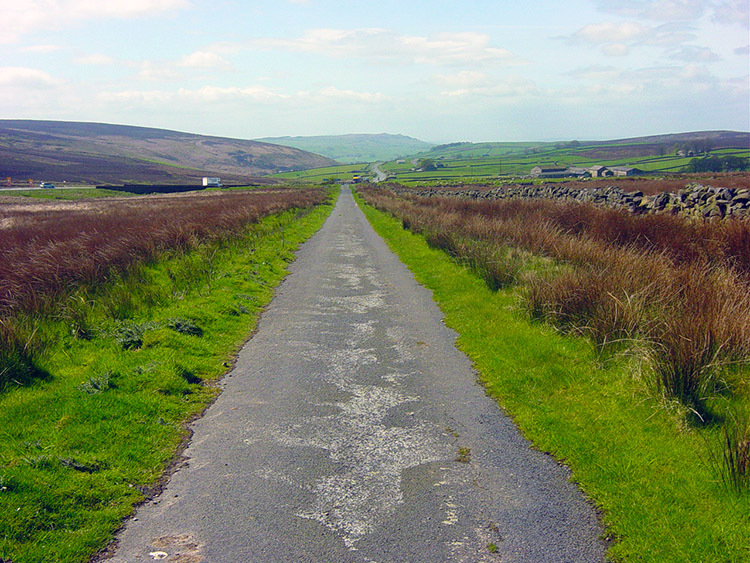 The continuation of the roman road forms the existing road between Blubberhouses and Menwith Hill. If you line up with it you are definitely on track..a dead straight line confirming location. Position confirmed - walk like a roman trailblazer! 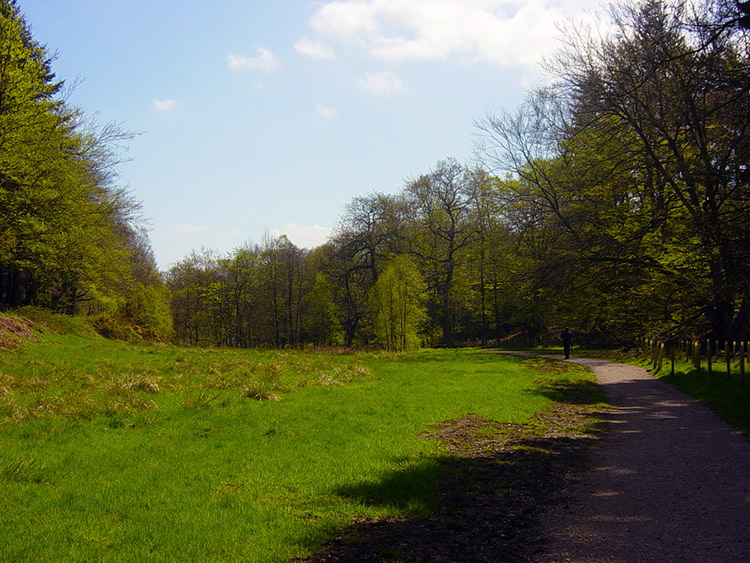 As Joe and I walked along our green avenue we enjoyed the real calm of the moor as we walked steadily ever upwards along the track which the romans had almost 2,000 years ago. I wondered if they appreciated this bleak land as much as I. Perhaps not. 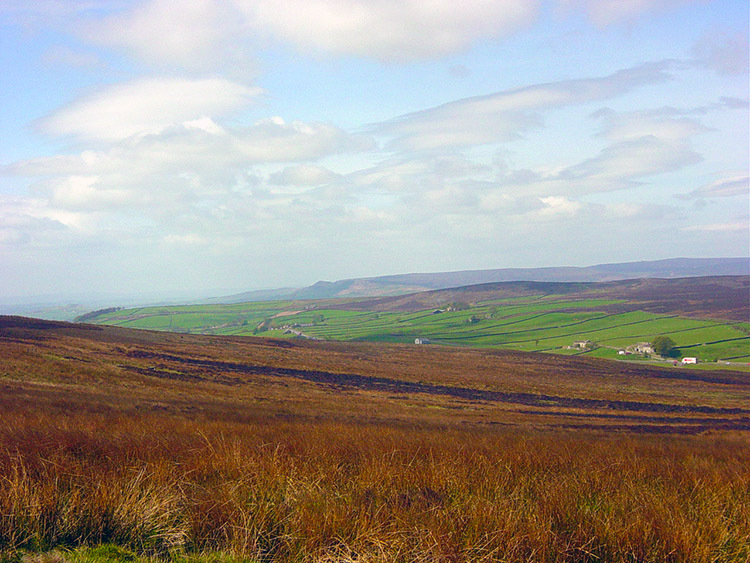 In winter 2,000 years ago Blubberhouses Moor would have been a far different environment to Rome. And unlike the roman soldiers we had no maurauders to interrupt our walk...or so we thought! After about a mile of walking on the old roman road the course became less clear. The green strip began to become fragmented as years of heathland attack had infringed and overgrown the line. My GPS bearings, dead accurate so far confirmed our course ahead but the further we walked the more the clear line dwindled until there was no sign of a road ahead at all. Also the terrain now took us alongside a stream which we began to do and just as we did all hell broke loose. We were suddenly confronted by anxious Geese, mostly Canada Geese but also a few native, all with young gosling's and all panic stricken at our arrival. The peace of moments ago was now a crescendo of cries and whoops. We had walked into the middle of a massive breeding colony. I had a serious dilemma for the GPS course confirmed that we walk on straight through the birds. I couldn't do that as I saw their clear distress at our presence. Everywhere we stepped seemed to unearth another clutch, it was awful. Looking around I spotted a cairn up to our right (north) and so we made for it much to the birds relief. As we walked toward the cairn things quietened. By accommodating the needs of the breeding geese we had made our walk a tougher proposition. I knew these hills to be very boggy and now we were off the path I had to find a way across the moor. 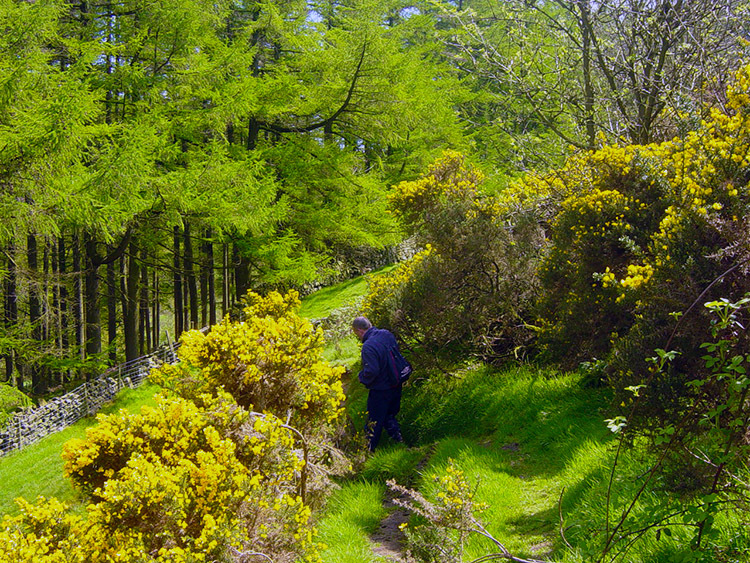 Quite simply there was not one and so Joe and I trudged across bog after bog until we eventually regained the path. Inevitably we disturbed more breeding geese, some ducks, a few curlews, and we even startled ourselves and a Bog Owl who scuttled off from under my feet. I must have woken him very abruptly. I hope the birds appreciated it as our feet were soaking by the time we found the path and walked off the moor to the A59 at Kexgill Farm. At least we could dry our feet a little now for the walk took us along the old tarmac road to Kex Gill Quarry. At the quarry we left the road to cross Kex Gill Moor. The marked path, as with Blubberhouses Moor was not easy to follow. Few walk these hills which is probably a good thing, especially in spring. Let the birds breed in peace I say. However, a few well laid paths would not go amiss for once we had crested the moor the views were as spectacular as any in Washburn. 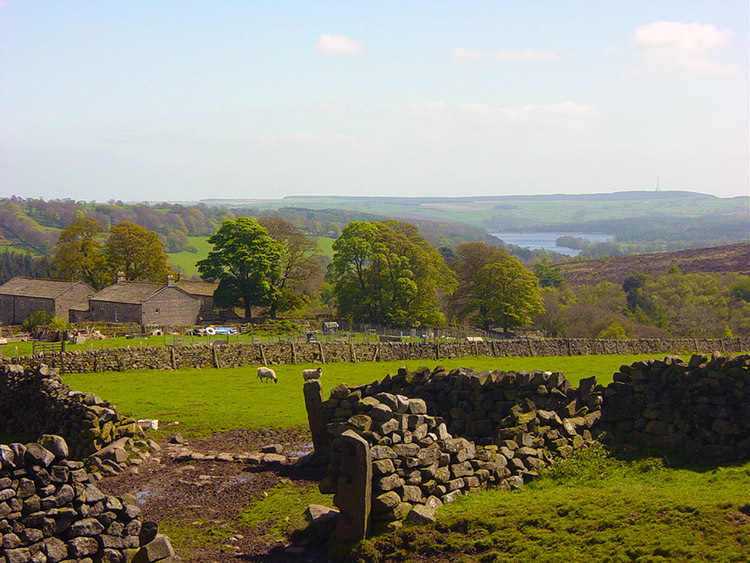 The vista west to Skipton and the Yorkshire Dales is particularly stunning from the moor. 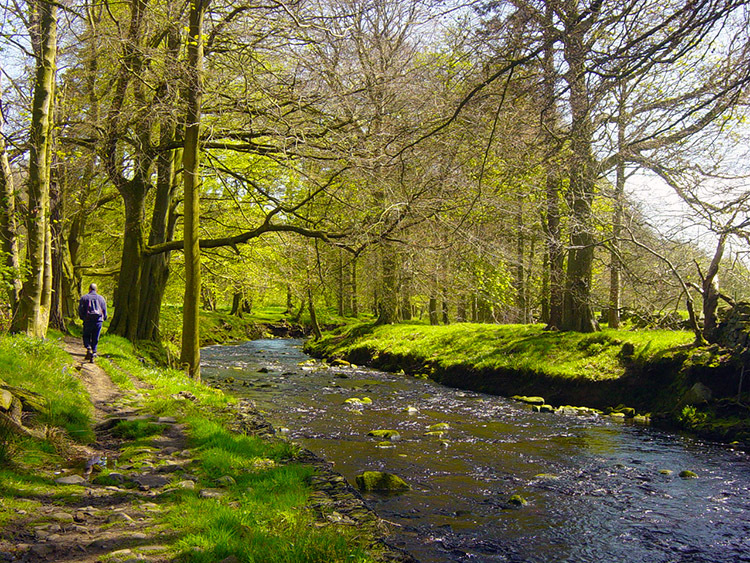 After Kex Gill Moor the walk took us down to the River Washburn just downstream of Thruscross Reservoir. Between Kex Gill and the river Joe and I were harassed by yet more birds, this time Plovers who shrilled and dive bombed to lead us away from their nests. We did as the Plovers desired and moved on off the high ground to the river. 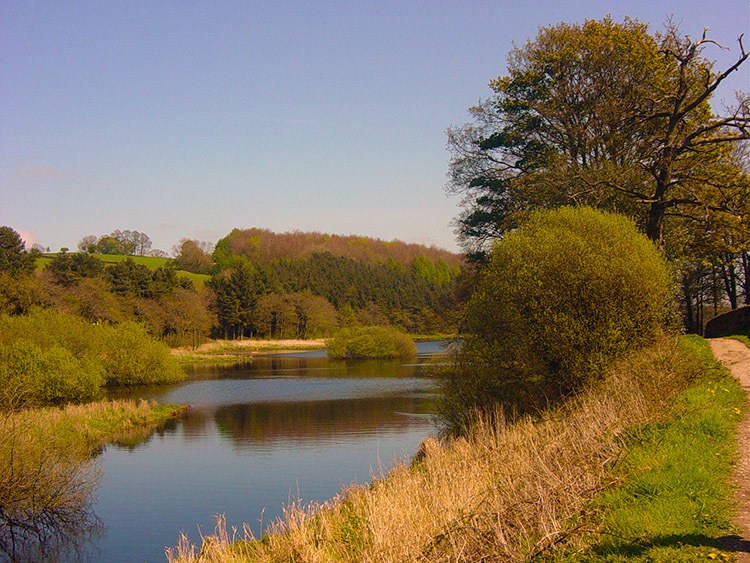 The final mile of our walk alongside the river was just fantastic. 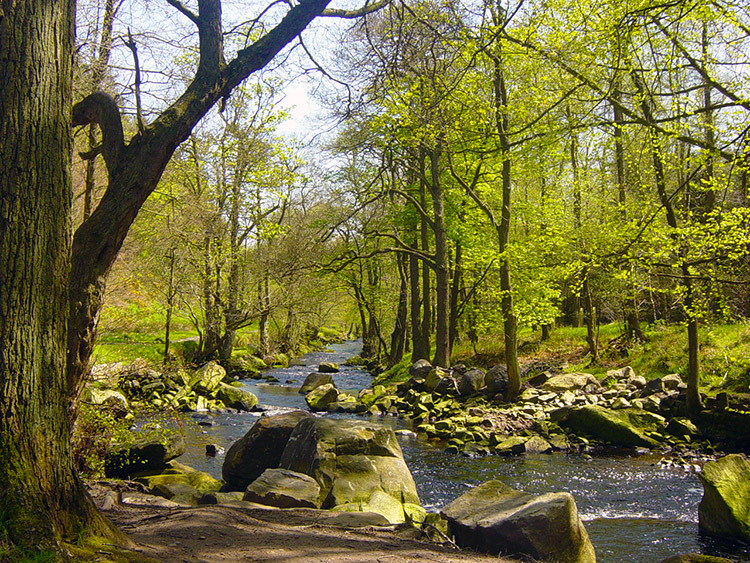 The river is as good as it gets here and the bluebells were just a week or so from their optimum best. Truly beautiful this section was and a total contrast to the bleakness of the hills. In conclusion this walk offers a lot, especially for the adventurous walker. I would only advise to leave Blubberhouses Moor to the breeding birds in May. It is a prosperous home for them to rear in peace and should remain so. From June to September I am certain Blubberhouses Moor is a great place to be.